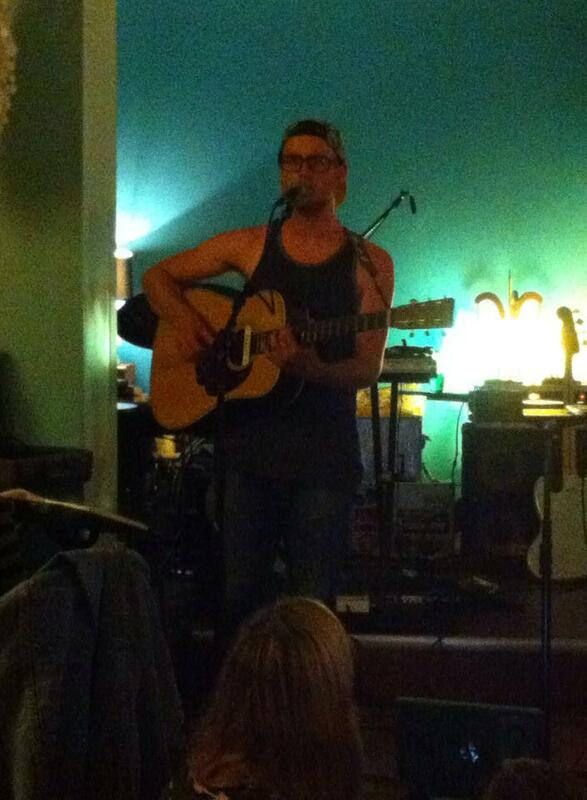 Last week I went to see Bosveld playing at Raw Sugar. The show was truly excellent, but before they performed I had a chance to chat with the Jeremy and Thean, the duo that is Bosveld. These guys had a lot to talk about, so I recommend you hit play on this stream of their first release, Catalysts Mixtape, and give it a read. We discussed their early life as a band, their recent tour of Ontario by bicycle, their mixtape and their upcoming debut album, Veldbrand. Enjoy! Dave: What were the beginnings of Bosveld like? Jeremy: Thean and I were both in music school at the same time and we ran into each other at a bunch of shows in Ottawa and in class, and we said “Hey! We should jam at some point.” We started hanging out at his place and we recorded a few little things. There was a bit of an initial connection. We just found that we were musically compatible. We had a couple songs that we were playing, that you (Thean) had written already, but the band didn’t really start until Old Cabin, who we’re playing with tonight, was like “Hey Thean! I’m going to be in town tonight, do you have anything ready that you want to play with me?” At a house show. So we played our first show that night and then played another show at Zaphod’s. Dave: What were those early shows like? Thean: It was at our friend John’s apartment. It was just a crazy party house, so there were quite a few people there, mostly from school. It was super intimate, we had a lot of electronic feedback. We were definitely figuring out what we were doing. 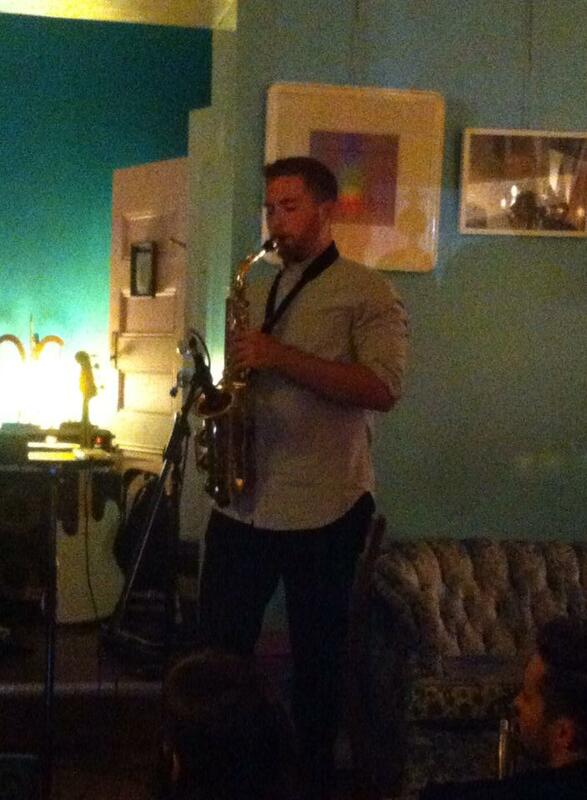 Jeremy: Since I play saxophone I wasn’t singing a lot, so we did a few other songs that were instrumental. It was the same kind of stuff we had started out doing. Dave: How do divide the instrumentation between the two of you? Jeremy: Thean plays guitar, which is his native instrument, and he also sings. I play the saxophone but I run it through a program called Ableton, then I have a Korg Nanopad that I’ve assigned to do some looping and delays that I can control. So he sings and plays guitar and I fill in the background and I occasionally play some melodic lines over top of that. That’s been our set up as the duo. Thean does shows as well where he plays guitar and sings (solo), the versatility of the songs works for anything from one person to four or five people. Dave: How do you write your songs? Thean: It really varies. For example, on the new album, the title track is something that me and Jeremy worked on for quite some time. It started off as a bunch of ideas, then we thought it was a song and we both didn’t really like it, so we kept working on it sometimes separately and sometimes together. Eventually it became an entirely new song. Some songs I’ll bring to him almost complete and Jeremy will help me finish them. Jeremy: It’s funny how it works. Thean’s been writing songs for a lot longer than I have. That’s not to say that I’m not good at it, but Thean has a voice already. So the songs come out of your voice initially. He’ll put something together and then he’ll show me and the arranging and little tweaks happen between the two of us. Thean: We generally hear a lot of the same things, and I think that’s why we started playing together in the first place. We listen to a lot of the same stuff but we also would hear the same things when we were creating. We would like a lot of the same harmonies and melodies. For the most part it’s me and him, but for the album we have our friends Phil Charbonneau and Pascal DeLaki who helped us arrange at least half of the entire album. Dave: What were your early musical influences and what influences you now? awkward thing you can do. We’re both really interested in certain aspects of classical music, but I don’t know how much of that falls into the music we play. Thean likes the really esoteric classical music, the strange stuff that I’ve never heard of, like Arvo Pärt. Our main thing is folk music, British folk like John Martin and Nick Drake. Thean: Nick Drake and Sufjan (Stevens) were the big ones. Jeremy: We still put that stuff on and geek out about it. When it comes to the songwriting there’s a certain aesthetic influence from Sam Amidon. Thean: Anyone that knows me knows that I’m obsessed with the music of a certain guitar player from South Africa named Derek Gripper, and I’m sure that comes out in some form. I can’t shake it because I listened to it non-stop for a long time. Jeremy uses MIDI controllers, we’re not sequencing anything. It’s all live electro-acoustic processing. Dave: What was the motivation to do a tour of Ontario by bicycle? Thean: I was working at a bike shop, and I was looking at this new Momentum bike magazine, and I there was an article about a guy with a cello touring through the States. I was blown away by the idea of it because it’s something that’s always been in my head but I never knew how to make it happen. We had a lot of help, this wouldn’t have happened with the people who were very generous to us. Eric from Kunstadt Sports donated an extra cycle and he let us rent another one. We were able to fit all of our gear on the back of these two bikes. We didn’t have a support vehicle, and it actually wasn’t that hard. Jeremy: We both had no idea exactly what was in store. After a few days, when we got used to our routine, it was so much fun. It was work, and it was tough at times, biking 5, 6, 7 hours a day, but at the same time it was very exciting. I was surprised by how doable it is. You’re seeing so much. You see scenery, people, little towns that you never knew existed. Dave: How much gear did you have? Jeremy: We brought his guitar and my saxophone, we had a case of accoutrements, like pedals and cables, we had a case with computers and stuff, and our bags. It ended up being about 150 pounds extra each. Dave: Were there any standout experiences from the tour? Thean: Probably our hosts. We stayed for free every night. Partly that was because of a website called warmshowers.org that’s for cycling tourists. People put up their home for free, sometimes a meal, and people were really generous. We met a lot of people that made our trip worthwhile. Jeremy: A few places where we were very excited to go back on the way home, which was great. We were looking forward to going back to a person’s place who was a stranger a week ago. And our friends as well. We stayed with a few of our friends. Thean: Toronto and Hamilton, those concerts meant a lot to me. I always feel out of place in Toronto but we played and all these people showed up. We invited a few friends, but a lot of Jeremy’s old friends and people from high school showed up, and a bunch of new people too. It was a strange and exciting night. There were comedians after us that trolled us for a while. In Hamilton we’ve been building relationships with the guys at Haven, which are amazing people. Jeremy: Haven is an art collective. A couple of my friends were a part of the founding members. Every time we go it’s such a great experience. Thean: They’re an insanely welcoming community of incredibly talented musicians, artists, everything you could dream of. That was really inspiring. Dave: Why was Catalysts Mixtape the approach you took to your first release? Jeremy: It fit the idea of just showing everyone our ideas. We had all of these ideas just flowing, and it’s a little ambient but there are a few things to hold onto with each one. We thought it was an interesting sound experience, but it foreshadows some aspects of the record to come. Thean: That’s basically what it is. We wanted to not really tell anyone what we were going to sound like. Some people that come to our shows kind of know what we are going to sound like, but they don’t really. We wanted to put something out that doesn’t really sound like us but is something that we made. Dave: When will you be releasing your first album? Thean: Hopefully November. We’re mixing it, and then we have to master it when we get time. Jeremy: Thean and I are both perfectionists. We could put it out now and we’d ultimately be ok with how it sounds, but it needs to be amazing. We’re doing a lot of this stuff, not alone but just the two of us with a bit of help from some really good friends. It’s a learning experience, but it’s been coming along and we’re very excited about how it’s sounding. Thean: It’s the thing that I’m easily the most proud of every being a part of. Jeremy: To us, the atmosphere of it sounds like something I would listen to in the fall or the winter. Thean: We’re aiming for either November or beginning of next year. We’re going to do vinyls. The sounds we got were very different because the arrangements were from Pascal DeLaki, who’s an incredible percussionist and a really good engineer. He helped us get every drum sound, some of the vocals, he came up with some really cool parts. Him and Phil Charbonneau are the greatest team. Jeremy: We spared no sonic expense. It’s a slightly more lush sound than what you would have heard on Catalysts Mixtape. It’s definitely more produced. There’s a bit more form to it, but at the same time it keeps a lot of the things that we loved about the ambient sound. Dave: What does the album title, Veldbrand, mean to you? Thean: For one, it used to be our band name. It’s a South African word. Jeremy: And there’s a song on the album called “Veldbrand”. Thean: The chorus is “fields of fire” which kind of translates to veldbrand. When I wrote those words I wasn’t thinking about it, it just happened. So that’s two reasons. Another reason is when I was little, I grew up in South Africa, and there’s no garbage disposal in our little farm area. We would just burn our garbage in this field. One day it was a little bit too dry and the garbage lit the field on fire. It was a terrible ordeal, and we had lines of people carrying buckets to get this fire out. It was a really bizarre scenario but it’s a memory for me. Everything tied together. It was my origins, our origins, and the name of this song. Make sure to keep an eye out for Bosveld’s debut release, or catch one of their live shows!